Oasis were English rock and roll band from the 1990s that was formed in Manchester, England. In 1993, they signed to an independent record label called Creation Records, releasing their debut album Definitely Maybe. 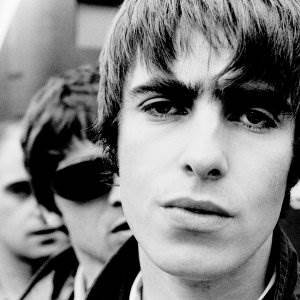 Oasis grew from an earlier band called Rain, later adding Liam's older brother Noel Gallagher on the guitar and vocals. They were extremely popular in England, but never had much of a following in the United States. Noel explains this is because Americans have "very bad taste" in music, and notes The Backstreet Boys as an example.